So that’s the gist of it. Nothing crazy-different from the OnShape version in how the model works (removed the bevels because those just make printing weird). All equations are the same and the gear design is still driven by the Module and Pitch Diameter. Why are these two variables so important? 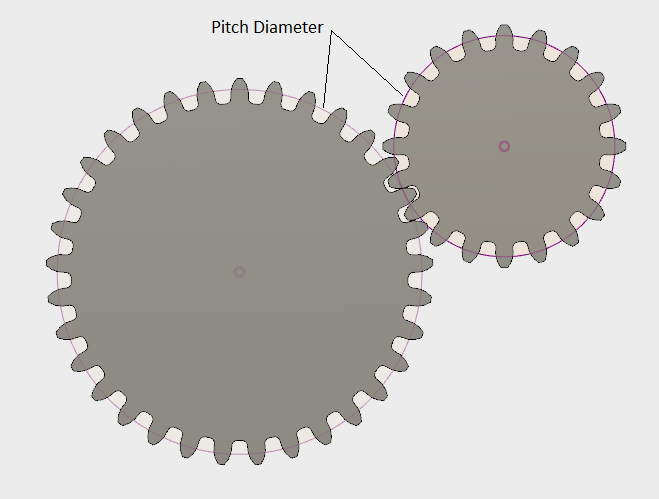 To put it very simply, the Pitch Diameter is the point where your gears will interact with each other, and the Module is critical to your tooth profile (i.e. 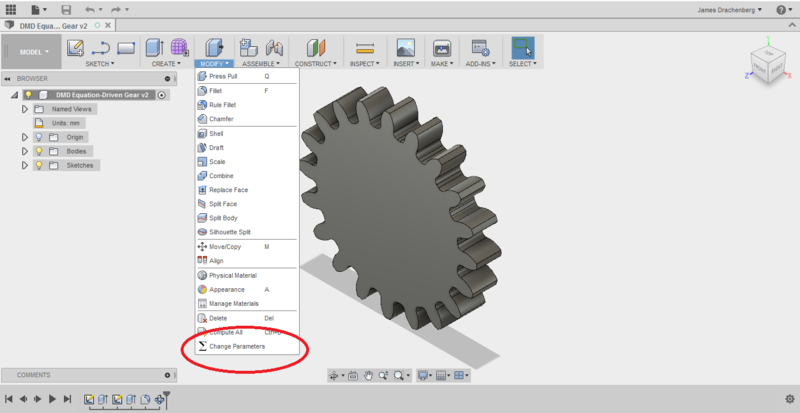 you want to keep the Module the same for all meshing gears). As far as the software interface itself goes, I will say that I really like F360’s equation/parameter-management system. Instead of everything being at the top of the feature tree, all your secret sauce is stowed away and organized under “Change Parameters” in the “Modify” tab. Again, the design isn’t going to be able to handle everything you throw at it, but it’s a great foundation to help get you moving. Grab the file with the link below, load it into Fusion 360, and gear-up all the things!